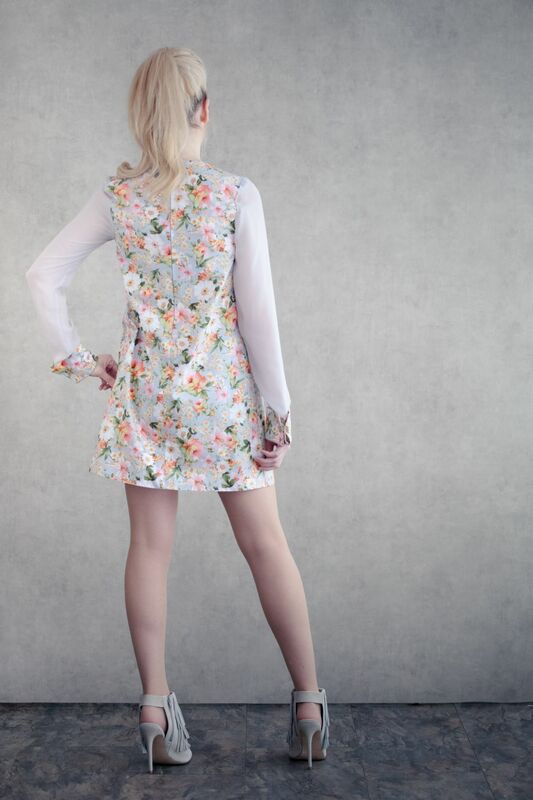 We love our CoCo Shift Dress in Vintage Floral. 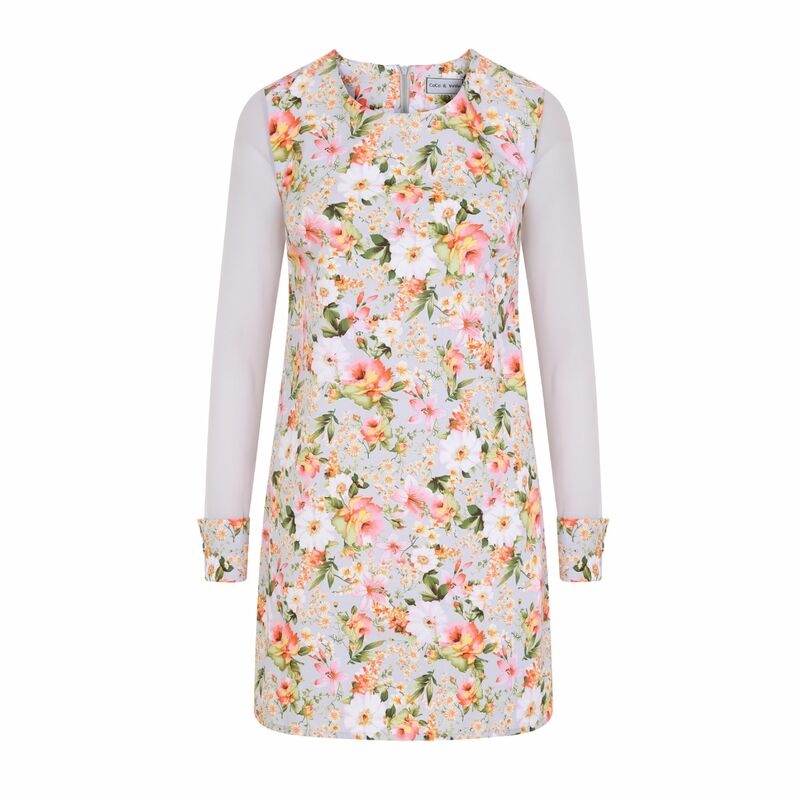 Made in cool cotton with beautiful floral print . Chiffon sleeves in grey and finished with double cuff. 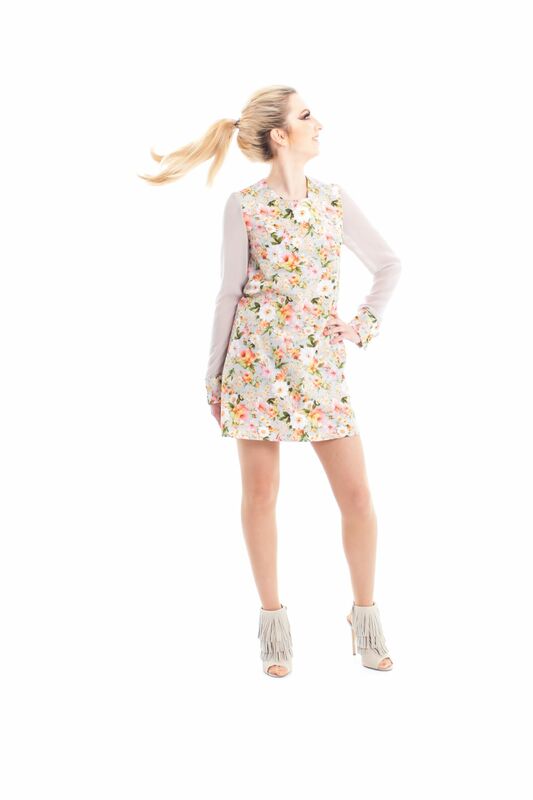 Each dress has its own pair of** Vintage cuff links ,making each dress truly unique. Fabric : 100% cotton ,chiffon sleeves 100% polyester. For a dress down look try wearing with your favorite jeans.